Danni Glover on a hard-hitting piece of social commentary. When veteran socialist filmmaker Ken Loach announced that the Palme d’Or winning Jimmy’s Hall (2014) was to be his final cinematic output, I was bereft. Loach is a polarising figure in the world of film; outspoken on a variety of politically sensitive subjects, including BDS sanctions in Israel, the assault allegations against Julian Assange, and whether the funeral of Margaret Thatcher should have been privatised. It isn’t necessary to agree with everything Loach stands for to appreciate the importance of a dissenting voice in cinema, particularly in an industry where every artist is strictly diplomatic and political correctness is publicly enforced to fascistic extremes. With his exit, to whom can left-leaning film fans turn for thought-provoking social realism? Who is documenting the working person? Enter Brendan O’Carroll. 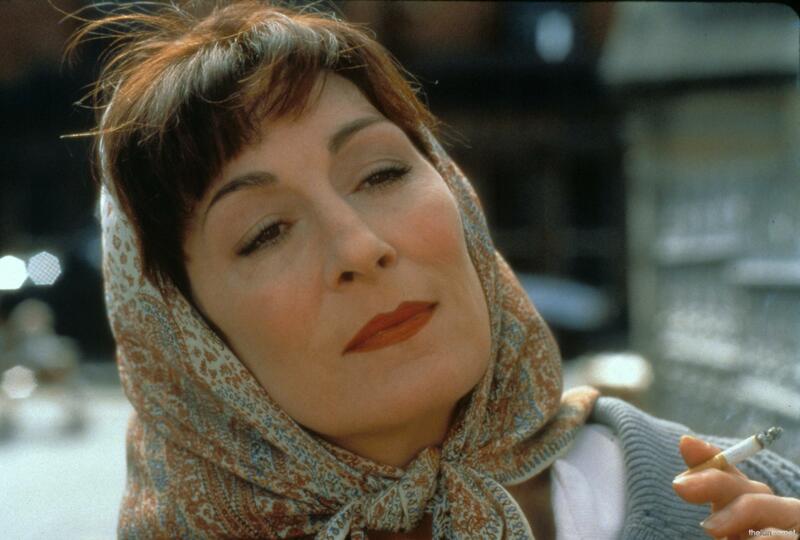 O’Carroll is best known for his novels featuring Agnes Brown, a character who was first adapted for screen in 1999 by Anjelica Huston. He was inspired by his own mother, a member of Irish Parliament for the Labour party and, like his literary creation, no stranger to speaking up for herself in a conflict. Houston’s Agnes Browne was not well received, but if viewing figures for O’Carroll’s Mrs Brown television series are anything to go by, this most recent cinematic outing will have far greater success. One gets the feeling, however, that Mrs Brown’s Boys D’Movie (2014) is not a project he undertook for financial gain. Rather it is a story of our time which, at its heart, is about the challenges of womanhood under capitalist patriarchy. Agnes is the mother of five adult children and an independent trader at a market stall, passed down from mother to daughter since 1802 in Dublin’s Moore Street. When a coalition of businessmen including hardened Russian thugs and a local politician plan to take over Moore Street, they cook up a tax bill to force Agnes out of play. What follows is not only a legal battle for her right to livelihood, but also a personal quest for the meaning of heritage, both in her work and in her children. One way in which this film differs from many of Loach’s notable works is in its optimism. It’s clear from the outset – a song and dance number whose most immediate relative is last year’s genuinely excellent Sunshine on Leith – that the ending of this story will be satisfying and the affability of the characters gives the film a cheerful tone that’s palpable even in moments of distress and tension. Cinematographer Martin Hawkins, perhaps better known for his work on television’s Garth Marenghi’s Darkplace, lends a bright but uncomplicated focus to every shot and, like Darkplace, D’Movie is not afraid to use the abstract and the absurd for emotional effect. Some of the most immediately affecting shots in the movie are of the character Dermot Brown, a kind of sad clown character who frequently and inexplicably appears in plush animal costumes, performing a role commonly associated with European théâtre de l’absurde. The fingerprints of Ionesco’s Bald Soprano are softly imprinted into Paddy Houlihan’s warm, round face as he delivers his lines with a simple passion, highlighting the absurdity of judicial bureaucracy by giving legal advice while dressed as a gecko. The key concern of D’Movie, in this reviewer’s opinion, is the gendered face of suffering. Agnes’s support network, by and large, is female, including her best friend Winnie, her daughter Cathy and all of her fellow market traders. Her sons are absent for much of the film and when they are present, they are ineffectual. Her relationship with her sons echoes her growingly precocious position in relation to the powerful men who are essentially in charge of her life: the MP who sells her down the river while promising to protect her; the priest who can be seen at the start of the film symbolically reassembling a broken crucifixion (indeed, where has Christ been in Mrs Brown’s life?) but can’t mend her spiritual anguish over her early motherhood; even her husband who, we learn in a particularly affecting scene, died when the children were young, leaving her feeling abandoned and desperate. It’s important to note that Brendan O’Carroll is a man in a dress, a fact O’Carroll makes plain and obvious. In queering the gender of his character, he subverts the audience’s expectations of motherhood and womanhood. In blending the masculine and the feminine, he encourages his audience to consider the dualized strengths and limitations of tenacity and vulnerability. O’Carroll is not only intellectually bi-gender; his body is the site of the grotesque and the sublime. The audience is encouraged not to forget the realities of his physical existence. There is no sexual gratification to the queer body of D’Movie, unlike Sally Potter’s Orlando (1992) based on the Virginia Woolf novel of the same name, and in that respect the queer elements of the film cannot be said to be voyeuristic. Rather, they are an inescapable spiritual presence. Then there is the question of origin and heritage. Agnes touchingly describes her grandmother’s toil at the same stall she has worked at all her life, imploring her only daughter to take up the family mantle. Cultural Dublin usually walks the streets of James Joyce’s Ulysees, but O’Carroll suggests that Agnes Brown’s sensible shoes might be the footsteps to follow in our quest to discover what Dublin truly is. She is uniquely concerned with the next generation, showing an affinity with the local young children and voicing her anxiety that her grandson will be an only child. It’s an anxiety which I’m sure will resonate with many viewers, particularly millennials who are living the Warholian maxim of fifteen-second fame. This film speaks to an audience who are unsure of their future and of what will be tangibly left of them. Do you remember when you last saw something truly meaningful at the cinema? There’s a peaceful reverence in the act of communing with other worshippers and imbibing a technicolor testimony. Everyone observes an unspoken social contract: we are here to watch this film and to watch within it ourselves. I wondered at the efficacy of the medium of film for Mrs Brown’s Boys D’Movie, as my fellow viewers really didn’t seem to get it. When faced with a certain level of poignancy, it’s all one can do not to laugh, and laugh they did. I wrought my hands in anguish. How could they laugh, I wondered? I saw nothing funny about the film. Nothing in Mrs Brown’s Boys D’Movie was even remotely amusing. I shook my head and wept for Agnes Brown. Danni Glover blogs at abcdanni. Mrs Brown’s Boys D’Movie is in cinemas now.